According to U.S. News' 41 Best Diets, the Mediterranean diet took the top spot. According to U.S. News' 41 Best Diets , the Mediterranean diet took the top spot. This diet consists of eating lots of fruits, vegetables and nuts while avoiding red meat, sugar and saturated fat. The reason this diet came in at No. 1 is because it is easy to follow, nutritious and effective for weight loss, according to experts at U.S. News and World Report. The DASH diet comes in at No. 2. It focuses on eating produce, whole grains, lean protein and some low-fat dairy products. This diet is known for combating high blood pressure and controlling diabetes. Rounding out the third spot is a Flexitarian Diet , which is exactly what it sounds like — a flexible vegetarian diet. This diet allows people to cheat with eating a burger or pizza once in a while, but the main focus is eating all fruits and veggies. Check out the full list of diets that you could try for the New Year. 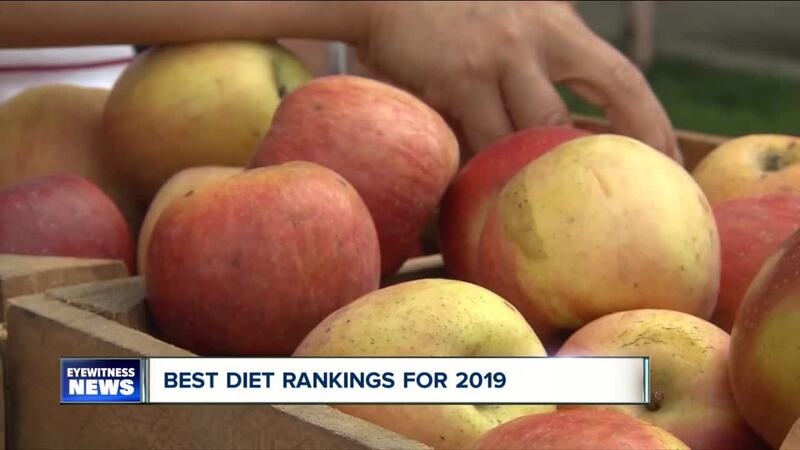 "What I have seen across the board that's really helpful is eating real food and getting away from processed food," said Jill Chiacchia, a certified health coach at Be Healthy in Hamburg, New York. "All those diet plans are theories and ideas but you need to structure it around what works for you." Chiacchia urges people to eat natural food that they enjoy. Stay away from processed foods, sugars and foods with artificial dyes, Chiacchia added. The "Rule of Thumb" is a helpful tip that Chiacchia tells her clients. She says to look at the ingredients and put your thumb over the wording: if the list of ingredients go past your thumb, it may be a good idea to avoid that food because there are too many processed ingredients.